The MineWhat platform automates personalized selling on your online store using Artificial Intelligence and enables category managers, buyers & planners to understand what works. Get effective merchandise intelligence and sales automation! Product intelligence tool to help you discover what works on your online store, take control of your merchandising. Choice.AI enhances the user experience with AI-driven personalization. Create and deploy AI widgets in 60 seconds. Ecommerce landing pages need to be specifically designed for specialized functionality. 80% of global traffic goes to the top 10% of landing pages. We have researched and classified e-commerce landing pages into 8 types. We are excited to launch our new youtube channel “E-commerce Ballgame”. While there are many channels for how to start an e-commerce store, we thought of creating one for e-commerce growth. According to recent estimates, eCommerce sales are set to top $27 trillion by the year 2020. Where will you stand then? Find out how to leverage Artificial Intelligence to stay afloat in the eCommerce space. 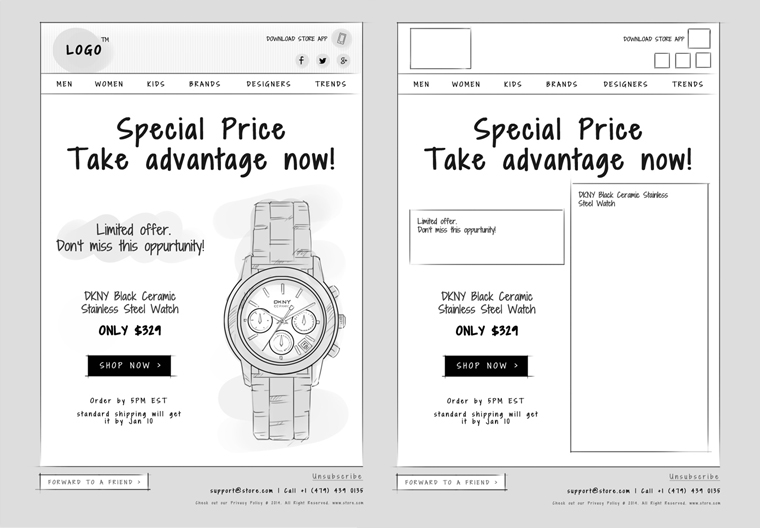 Learn to design great marketing emails for your eCommerce store. We have incorporated well thought out design patterns and best practices in these email ideas. Why aren't your shoppers buying? You have everything set up, site design, site search, ads, email campaigns, everything! The shoppers are coming in, but only a tiny fraction of them are buying anything. Is there something you can do? See how automation can help.